Since the file structure in the ADM 3.1 has been modified, you will not be able to roll back to a previous version of ADM after upgrading. If your NAS is using ADM 2.4.0 or prior versions, please upgrade to 2.4.2 first, before upgrading to 3.1. After upgrading to ADM 3.2, some apps may be disabled because of compatibility issues. In order to ensure proper compatibility, please update all apps to the latest version at App Central. Please verify that they are updated and enabled in order to continue using your apps. For those using DataSync for hubiC, please bear in mind that this app has not been released and is still in beta. To download DataSync for hubiC, please download it from the Beta Apps section of App Central. Traditional hard drives are not as fast as SSDs, but their capacity and durability are not as good as traditional hard drives. The best way to combine the best of both worlds is with SSD caching. The SSD cache feature saves frequently accessed file data on a hard disk and stores it on an SSD, thereby optimizing the response time and transfer rates of users when accessing data. 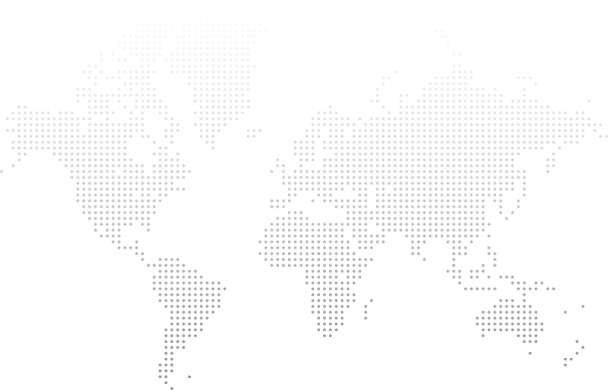 ASUSTOR NAS* supports read-only access and read-write cache mode. After following the installation wizard, you will be able to easily access your storage spaces and achieve the best balance of capacity and performance. LDAP, also known as Lightweight Directory Access Protocol is mainly used for unified management of accounts and passwords. Using LDAP technology can more efficiently manage user authentications or computer resource permissions across the enterprise. ASUSTOR NAS originally only supported Microsoft's Windows Active Directory service. ADM 3.1 adds an LDAP client. 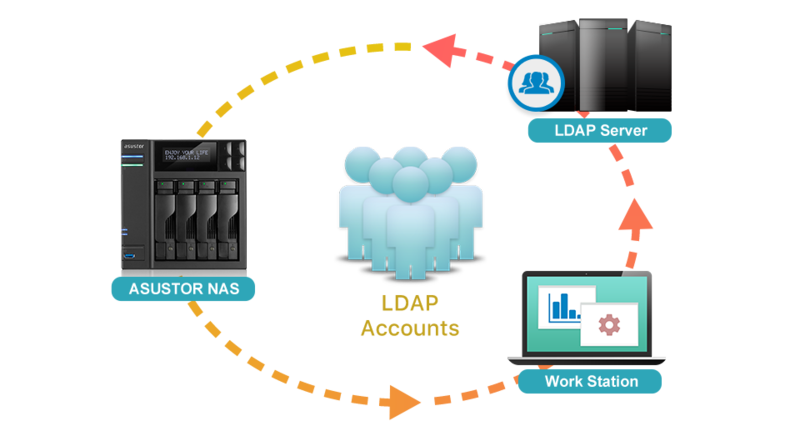 Users can easily add an ASUSTOR NAS to their existing LDAP server providing easier ways to manage helps improve productivity. RAID Scrubbing detects the integrity and consistency of RAID 5 and RAID 6 drive data. Regular use of this feature can help you confirm the integrity of your data and fix inconsistencies. If a problem that cannot be repaired is found, your NAS will immediately warn you so that you can respond to unexpected issues early. Supporting the cross-platform exFAT file system. Memory cards rejoice! ASUSTOR is also launching the long-awaited exFAT driver. Widely supported and used by many operating systems and devices, the older FAT32 file system is no longer adequate for today’s applications. exFAT is able to address files over 4GB. 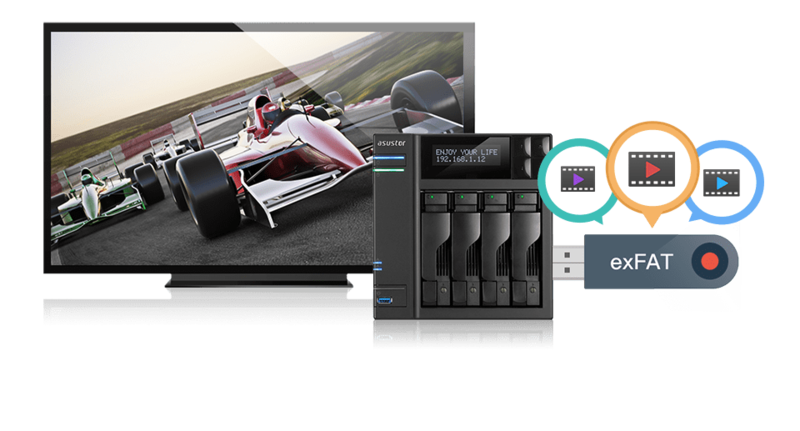 To meet the needs of today’s users, ASUSTOR and Microsoft are working together to launch the exFAT driver to NAS customers, allowing users to easily connect their exFAT storage devices with ease. Are You Ready to Experience The ADM 3.1?